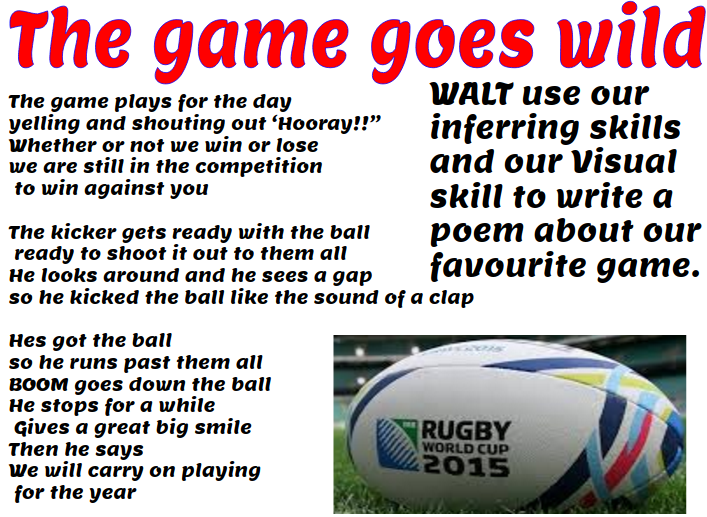 This week my group had to write a poem about there favourite game. WALT use inferring skills and visualising skills to write our own poem. Well done Kahlicia! You have tried your best to put yourself in the readers position so that you use language features like onomatopoeia and interesting adjectives to describe how this rugby game goes wild. 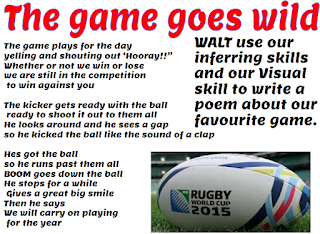 This really encouraged me to use my inferring skills as I was reading the poem and I could visualise the intense atmosphere of this game through the use of language you used in this poem. Kapai Kahlicia! Keep up the great thinking.